Activate the Power Functions and select upper or lower crane mode for complete control over an array of easy‑to‑operate, motorized functions. Lower the stabilizer legs, rotate the superstructure through 360°, operate the lifting winch or send the extendable boom a meter into the air. Manual functions include 4-wheel steering, 4-wheel drive, detailed V8 engine with moving pistons and fan, and adjustable wing mirrors, plus a detailed operator’s cab with an opening door. 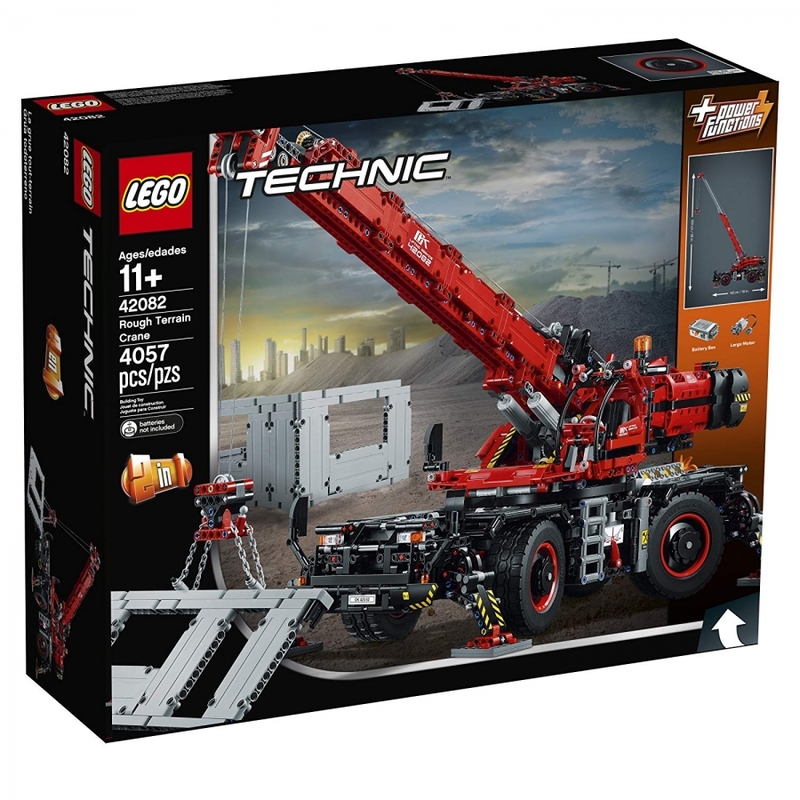 This amazing model also includes 2 opening compartments with tools, chains and a fire extinguisher, plus 4 outrigger landing plates and 4 LEGO Technic building sections that can be lifted and assembled. This 2‑in‑1 LEGO Technic set comes with a red and black color scheme and can be rebuilt to create a Mobile Pile Driver.